Have you ever wondered why you can’t remove multiple programs in Windows? Programs have their own uninstallers, so you have to launch uninstallation for each program separately. Unfortunately the process takes time and doesn’t guarantee complete uninstallation. Some leftovers may be overlooked and removing them will require even more time and attention. It would be much more convenient to choose all programs you want to get rid of and uninstall them in one go. Guess what? You can do it with CleanMyPC Multi Uninstaller. 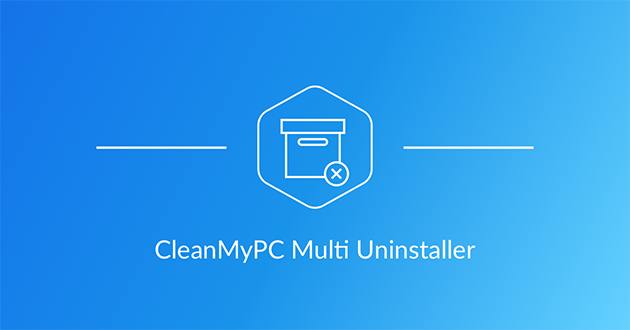 Multi Uninstaller is an updated CleanMyPC’s module for program removal. With its help you can remove multiple programs in bulk. The process of uninstallation is quite easy: you just choose the programs you want to remove in the list, and start uninstallation. CleanMyPC Multi Uninstaller will guide you through simple steps of the process. Multi uninstaller launches the uninstallation for selected programs one by one. You can monitor the progress of uninstallation real time. CleanMyPC Multi Uninstaller searches for any items that could be left behind after uninstallation. You can choose whether you want to delete all of them, or uncheck the box for the items you want to remain. As soon as you click the ‘Clean’ button, you may be sure that Multi Uninstaller will leave no traces of unneeded apps. That’s it! After successful uninstallation, you get the result screen with the list of apps removed from your PC and the amount of space freed up. If you want your system work fast and flawlessly you should keep your hard drive clean and don’t let it clutter with useless items. Using new software is better for PC’s security and performance. However, if you don’t delete old and unused programs you won’t be able to install new apps. Multi Uninstaller helps you keep track of all apps installed on your PC and remove those that you don’t use to free up space for new ones. 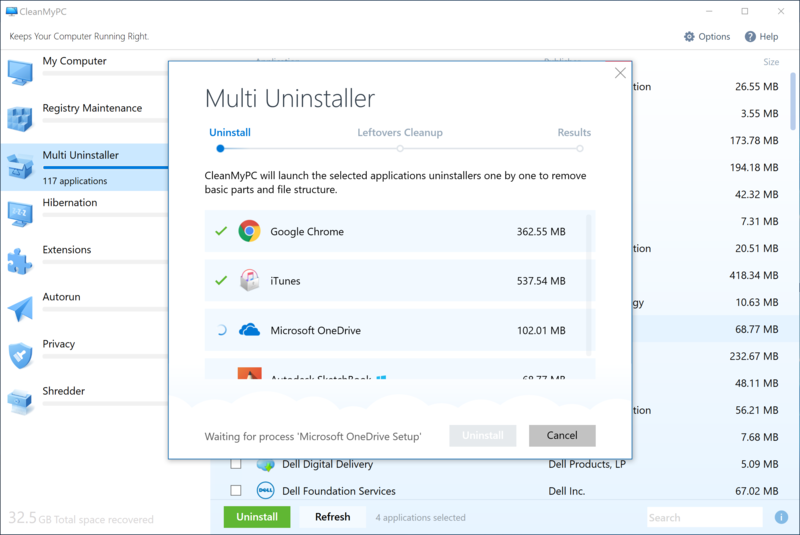 CleanMyPC Multi Uninstaller is more than just app removal. It helps you solve the issues with PC’s speed, lack of space or poor performance. What's more, Multi Uninstaller saves your time and makes mundane program removal easy and effortless. Try Multi Uninstaller right now. Download the latest CleanMyPC version.